Dr. Daniel Careaga: Miami Skin Care Services | Call Now! How we look and feel can have a significant impact on our health and well-being. At Careaga Plastic Surgery, we treat our patients from the inside out; our beautiful medspa provides our patients with a space to rest and feel restored as their external appearance is rejuvenated. With a variety of skin care and massage treatments, we can target your specific problem areas to improve your mood and enhance your look. At Careaga Plastic Surgery, our aesthetician is committed to helping you feel relaxed, renewed, and rejuvenated. We target your skin concerns to normalize skin functions and optimize the effectiveness of all of our treatments. Together, we can achieve your optimal skin health. We can also address muscle tension and pain to relieve stress and relax your body. Schedule your appointment today and have your skin and body evaluated to determine the best treatment for your unique concerns. Your skin evaluation will determine which skin care treatment is most suitable for your aesthetic needs. We work to prevent the reoccurrence of persistent skin problems by keeping the tissues strong and healthy. 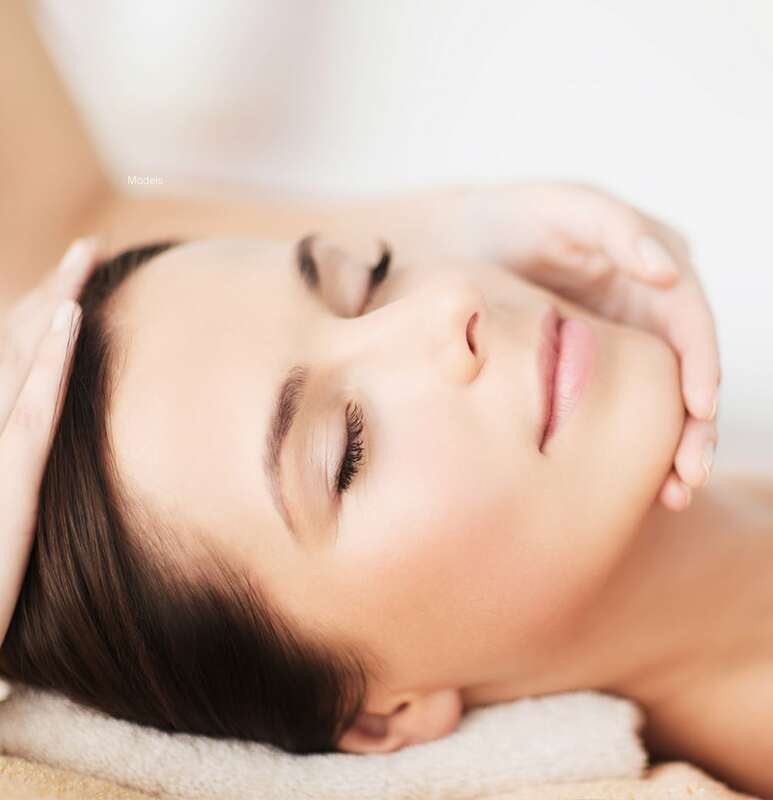 All facials include scalp massage and aromatherapy. Whether you have mild, moderate, or severely congested pores, we have the right treatment protocol to help you achieve clean, healthy-looking skin. Using our extraction techniques followed by sulfur medication masks and acne peels, we can purify pores and help absorb excess oil while our hydrating ingredients combat dryness. For healthy and blemish-free skin, IPL, a light-based treatment, can be very effective and a great choice together with the correct home-care regimen from our medical staff. A treatment plan with our professional peels and medical microneedling followed by our home skin care routine of hydroquinone and non-hydroquinone product lines will help you experience superior results. Our skin rejuvenation treatments combined with our CO₂ laser and stimulating peels can target and fight the aging process. Collagen induction therapy with microneedling and our growth factor products can help you achieve healthy, youthful skin. With this manual detox exfoliation, we balance your skin to make it look bright and clean. By targeting rough, clogged pores, we get rid of pimples, blackheads, and milia to help you control future breakouts and oily skin. Uncover a new layer of skin with gentle exfoliation, super serums, and relaxing resurfacing. With nourishing ingredients of antioxidants and peptides, we create an instant, gratifying glow. Nourish and replenish aging skin by diminishing the appearance of hyperpigmentation, photo-aging, pore congestion, fine lines, and wrinkles. With these medical-grade peels, we can tailor your treatment to deep or superficial correction. Combat visible signs of aging with a stream of high-pressurized oxygen that’s infused with botanical, vitamin, mineral, and nutrient extracts. This facial delivers mega-hydration with a cooling and calming feeling. With skin-illuminating results, this quick exfoliation treatment will re-energize those who have little time to undergo skin resurfacing treatment. Look your best before a special occasion. Our rejuvenating anti-aging skin peel is designed to cleanse, hydrate, lift, rejuvenate, and detoxify your skin, leaving you red-carpet ready. Also known as collagen induction therapy, this minimally invasive skin rejuvenation procedure helps minimize the signs of aging, improve the appearance of acne scars, and rejuvenate aging skin by using the microchannel delivery of serums and growth factors. Make your skin softer, brighter, and more radiant with this crystal-free, medical microdermabrasion that uses innovative and customized exfoliation. It delivers clinical results with high patient satisfaction for overall skin rejuvenation. This non-surgical procedure uses the healing properties of your own plasma to improve dark under-eye circles, hyperpigmentation, fine lines, wrinkles, and poor skin texture. Give your skin instant hydration, brightening, and radiance with this 25-minute treatment. This simple and safe procedure is for exfoliating the epidermis and ridding the skin of fine vellus hair (peach fuzz), leaving your skin soft and ready for hydrating ingredients. This treatment gently freezes and removes age spots, sun spots, and skin tags from your face, hands, and body in as little as one treatment. Prep your skin before your treatment and boost the results with this add-on treatment. Remove the outermost layer of dry, dead skin cells to reveal younger, healthier-looking skin. A great add-on for all facials, this treatment focuses on treating congestion of the skin by cleaning clogged or impacted pores. This add-on diminishes the look of dark circles and puffy eyes. This great anti-aging technique with therapeutic benefits produces vitamin D while targeting redness and oily, congested skin. Through the elimination of toxins, we can reduce wrinkles, rehydrate the skin, reduce puffiness, help acne-prone complexions, provide sinus relief, and treat headaches. Using smooth marble stones chilled on ice, this therapy provides amazing benefits for tired eyes, headaches, and tension around the eyes, and it can help calm an overactive mind. You can boost your HydraFacial® treatment with any of these add-ons: blue/red LED light, growth factor serums, or spot corrector serums. Our eyebrow and eyelash tinting is a semi-permanent dye treatment. Our aestheticians match the tint with the color of your skin and the contour of your face. It is the perfect touch after your facials or injectables. Long sweeping movements and gentle manipulation of the muscles improve circulation, flush body toxins, and relieve stress. Targets specific areas of need by focusing on overworked muscles and trigger points, aiming at the deeper tissue structures of the muscles. Not just for athletes, this massage can boost flexibility, improve range of motion, shorten athletic recovery, and increase performance using a combination of stretches, massage modalities, and acupressure techniques. Smooth, heated stones placed on your body help relax and warm up tight muscles, allowing your therapist to work more deeply to increase your circulation and promote better sleep. During your pregnancy, pamper yourself and your baby during the second and third trimesters. Reduce anxiety, decrease symptoms of depression, and relieve muscle aches and joint pains. This energy work treatment benefits the mind, body, and spirit of patients of all ages and conditions using a series of hand positions without pressure on the body. This acupressure treatment works on meridian points to release tension in the body. Your session will interrupt the stress signals and reset the body’s equilibrium. Boost your massage by adding essential oils to any of the massage modalities to enhance emotions like confidence and happiness while suppressing emotions such as anxiety, anger, depression, fear, grief, irritability, insecurity, or stress. Boost your massage by combining warm shea butter and essential oils to create a nourishing treatment that renews and protects tired hands and feet. This luxurious hand and foot treatment is a natural petroleum-free alternative to paraffin. GentleYAG Pro-U™ laser hair removal treatment addresses hair follicles at the root for permanent hair reduction. This non-invasive laser can eliminate unwanted hair on the legs, arms, and back so patients can enjoy smooth, hair-free skin without the constant hassle of shaving or waxing. Medspa procedures work best when incorporated into your health and wellness routines. The glow immediately achieved following a facial typically lasts 48 to 72 hours, and the main long-term benefit of a facial is cellular regeneration, a process that occurs over 20 to 40 days. A facial should be scheduled every 4 to 6 weeks, removing dead skin cells and allowing the skin to be cleared of impurities. Who will be performing my skin care or massage treatment? Our medically licensed aestheticians are skin care specialists who work with the highest quality products and utilize advanced techniques. They tailor each treatment to the needs of the patient. Our professionally licensed massage therapists focus on benefits for the body and mind to achieve our patients’ treatment goals. Where will my medspa services be performed? Our medspa is located in the heart of Coral Gables at Dr. Careaga’s Plastic Surgery Center. We provide patients with a soothing setting where they can enjoy being pampered and escape the stresses of everyday life. Careaga Plastic Surgery Center is great! They have a very friendly and professional staff. Dr. Careaga takes time to answer all of your questions and really puts his patients at ease. I highly recommend them. My experience with Dr. Careaga was phenomenal.